“Since I don’t see any logs around…” Tom Sobal says, then lies down in the street so we can practice stepping over him in our snowshoes. Not many instructors would lie prone in the snow for their students. Then again, there aren’t many snowshoe instructors like Sobal, whose amazing resume includes top honors in snowshoeing, trail running and burro racing. He holds the world’s best time for a 26.2 mile marathon on snowshoes (3:06:17), and has won 140 snowshoe races, including the grueling 100-mile Ididasport in Alaska. 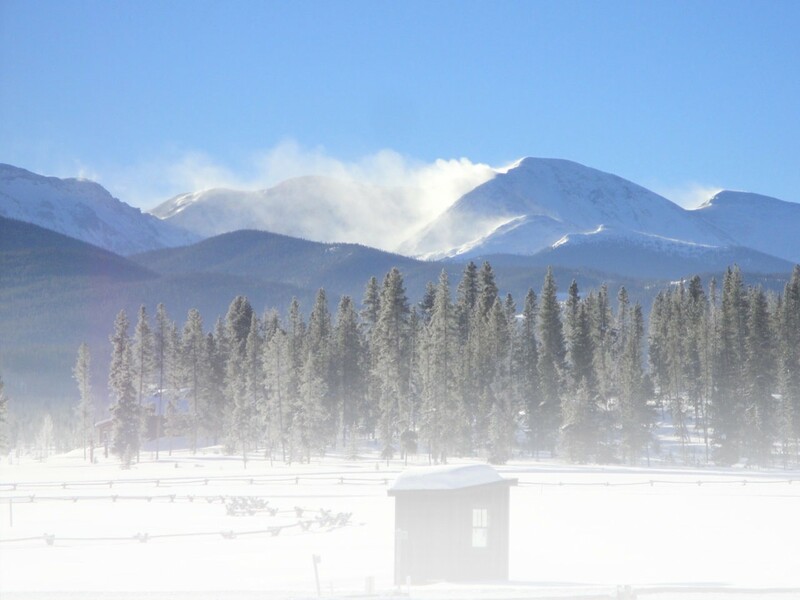 Sobal recently hosted the second annual Grand Lake Snowshoe Festival in Grand Lake, Colo. The three-day event celebrated the sport of snowshoeing and its history with live music, 5K and 10K races, presentations, geocaching events, and an antique snowshoe tour. During Sobal’s afternoon clinic, we strapped on snowshoes (Redfeather provided demo snowshoes for the event) and trekked around town. Sobal is tall and thin with a bushy beard and soft-spoken manner who moves gracefully on snowshoes like he’s made of elastic. His approachable attitude makes him an excellent teacher, Special Olympics delegate and advocate for the sport. Snowshoe techniques are subtle, Sobal says, but they make a big difference, and he hopes others can benefit from what he has learned over the past 20 years. “The cardinal rule of snowshoeing is to avoid overlap,” Sobal begins. The back of the front snowshoe can overlap the back of the second, which can cause you to fall. “It’s a big issue because you can’t feel through the snowshoe.” Longer strides help — be aware that when you’re tired, your strides shorten. It’s easier to run than walk in snowshoes, Sobal says, because when you run, you lengthen your stride. When going downhill, put your weight on the front of your snowshoe and bend your knees slightly. Going directly downhill is the most effective way to use your claws. And going straight uphill is the most effective way to climb. Look behind you at your tracks and analyze your pattern. Correct any pigeon-toed or splayfooted tendencies you might have to make yourself as efficient as possible. Standing up after a fall in deep snow can be difficult. Sobal suggests rolling up in a ball then getting your feet under you. Step over logs or other obstacles (like Sobal lying in the street) at an angle — not head on. Sobal recently finished a book for the Special Olympics titled “Sports Skills Guidebook for Snowshoeing.” The book applies to beginners and experts alike. frozen lake to the lookout tower. Since moving to Salida, Colo., Sobal says he has to make an effort to get to the snow. His advice for everyone? “Get out there and do it,” Sobal says. For more information, go to http://www.grandlakesnowshoefestival.com. Global Positioning System (GPS) devices allow snowshoers to explore the backcountry with confidence. At the Grand Lake Snowshoe festival, Steve Reiter, a geographer with the US Geological Survey’s Earth Science Information Center, gave a seminar on how to input way points (latitude and longitude coordinates) and reach a destination using the GOTO feature. Reiter says, “GPS answers the eternal zen question, ‘Where am I? '” Following the seminar, attendees put their skills to the test in beginner and advanced geocaches (a game similar to a treasure hunt). During the beginner’s treasure hunt, groups of two to five people searched the town of Grand Lake for clues to answer riddles and locate “treasure.” Many families new to GPS participated in the event, like Kevin and Patty Boyle of Denver with their kids Kaitlin, 18, and Andrew, 15. The Boyles did some cross-country skiing the night before then came to the festival to learn more about GPS. The more-advanced Grand Cache had groups of snowshoers searching for way points and clues hidden in the forest over hilly terrain. Participants had to rely on problem-solving, orienteering, and strategy to find all the caches and solve the puzzle in this 2.5 mile race. highlights. Ski Country Antiques loaned 30 pairs of 1940s snowshoes for the Antique Snowshoe Tour at nearby Winding River Resort. Historic characters from Grand Lake’s early years told stories of days gone by, bringing the area’s rich snowshoeing history to life. Also at the festival, Earl E. Clark and Richard Over, from the 10th Mountain Division, shared their ski troopers’ gear and their adventures at Camp Hale, Mount Belvedere, Riva Ridge and Po Valley in Italy. Both Clark and Over were inducted into the Colorado Ski Hall of Fame. Clark, who was the National President of the 10th Mountain Division, is also the recipient of the highest post-war honors given in Germany, Austria, Italy and France. This entry was posted in Features, General by Gretchen Bergen. Bookmark the permalink.